Wholesale supplier Safe Holi Colour Powder paint. 100.000 KG in Stock. Order Now! Buy Safe Certified Holi Colours / Coloured powder here! 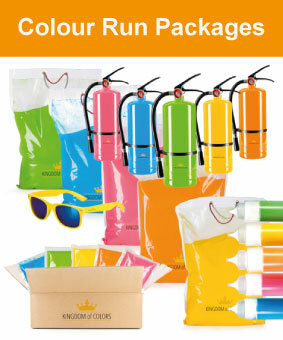 Kingdom of Colors is UK’s no.1 supplier of safe and certified Holi Colours and coloured powders. We offer everything you need for your Colour Event. 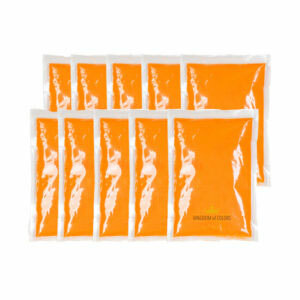 Filled with 300 grm holi colors: Ready to use! 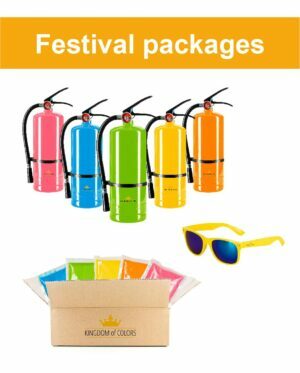 Buy holi colour squeezy bottles! Do not aim at people from close by. Safety first. The glasses look flashy and fun! And good for eye protection. Buy sunglasses for colour run or holi festival at Kingdom of Colors! 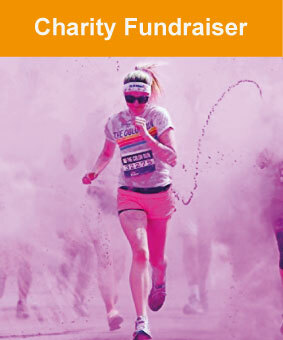 perfect for your Colour Run, Charity Fundraisers and Holi Festivals. Buy Holi colour powder bulk. Contact us for all colour powder products and advise. Kingdom of Colors for all your certified & safe Holi Colours / Paint Powder. 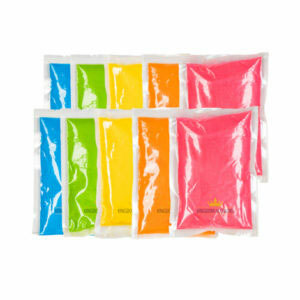 Kingdom of Colors offers bulk Holi Powders in a variety of colours and packaging. 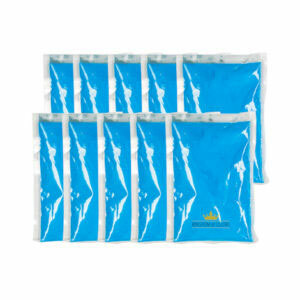 The standard bulk bags come in 5, 10 or 25 KG bulk packaging. But we can deliver any size and every packaging you desire. Buy color powder / paint powder in a wide range of colours and packaging. 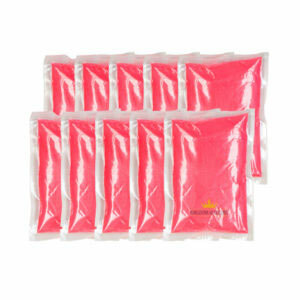 Our small pouches color powder come in 70 gram and 100 gram. But every other size and quantity is possible. Personalize your event by having your own holi party bags printed! Kingdom of Colors offers full color printing service. You can also have your own specific colour mixed. Buy holi colour or contact us for the possibilities! 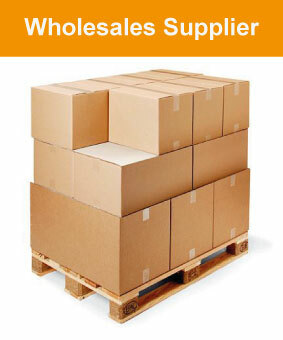 Kingdom of Colors: Wholesale supplier Safe Holi Colour Powders! Our holi powders / paint powder are available in a wide range of colours and packaging. 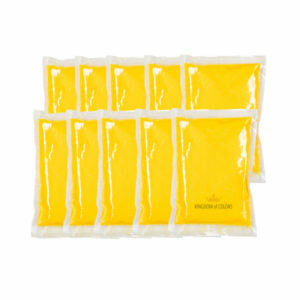 Our small pouches come in 70 gram and 100 gram. But every other size and quantity is possible. We work for many respected COLOUR RUN´s and COLOUR FESTIVALS around the world.